A La Niña could develop in the coming months according to the Climate Prediction Center. The organization is giving it a 70 percent chance of forming in the fall and a 55 percent chance of sticking around through the winter. Water temperatures in the Pacific Ocean where El Niños and La Niñas form were near their average, or neutral, conditions in September. Since then, temperatures have dropped significantly, a sign of La Niña formation. That's why a La Niña Watch has been issued. Unlike an El Niño, La Niña has less of an effect on overall weather patterns in the United States. 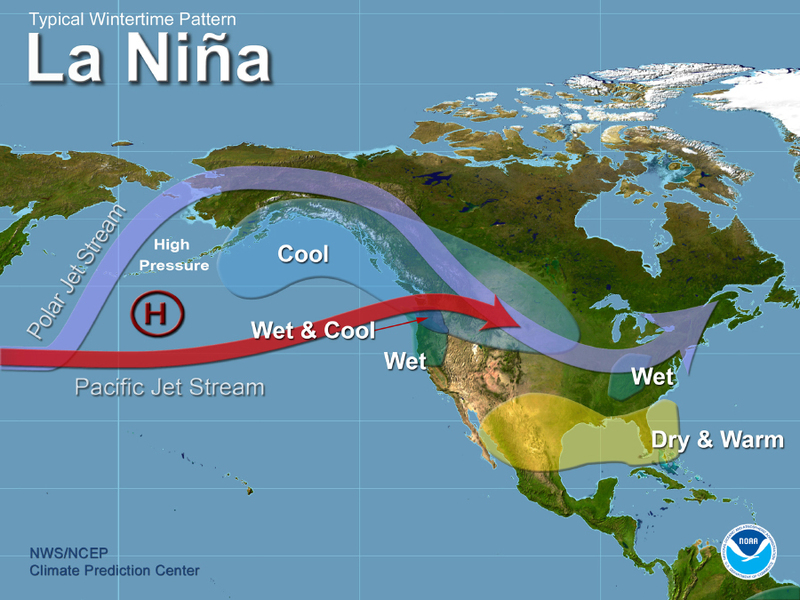 La Niña winters typically lead to a dry, warmer winter across the southern United States while the colder air is limited to the Pacific Northwest and the Northern Plains. Additional moisture typically falls in the Northwest and across a small section of the Midwest. 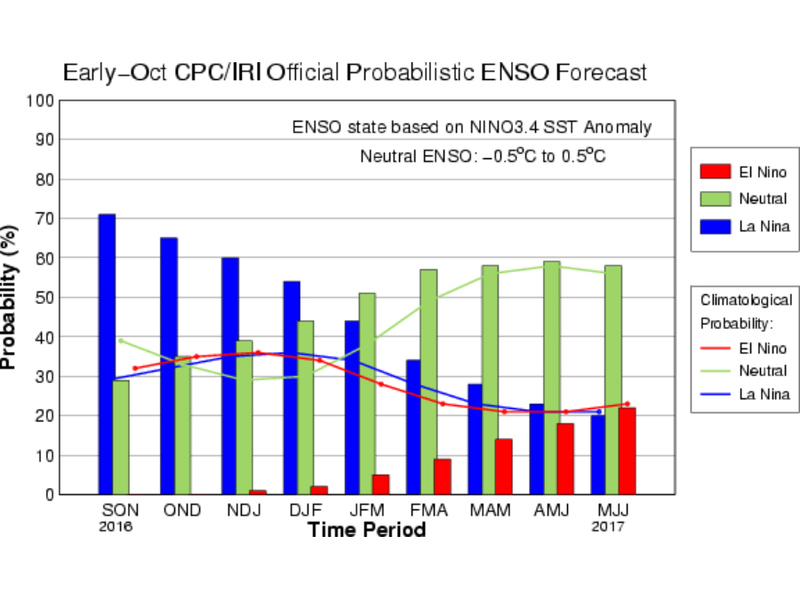 However, the chances of the La Niña sticking around for the winter is only slightly better than a coin toss. Long-term winter outlooks have been trickling in from a number of sources, and as of now, all of them have one thing in common — it's most likely going to be colder than last year's unusually mild winter.